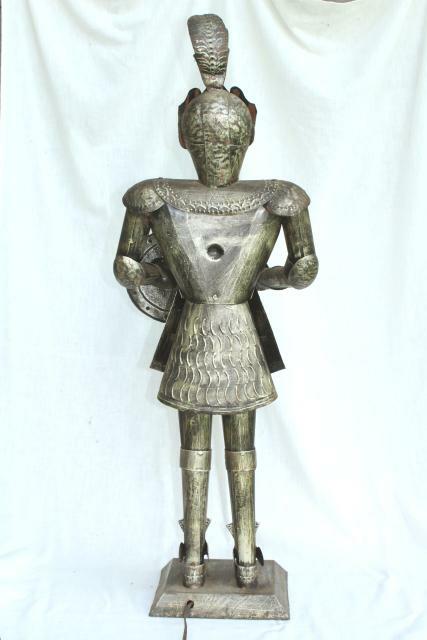 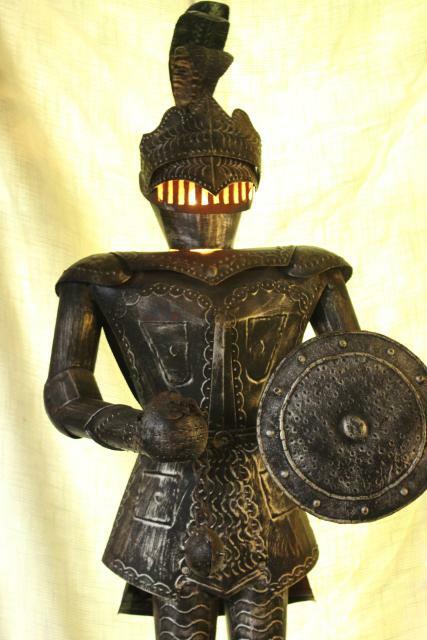 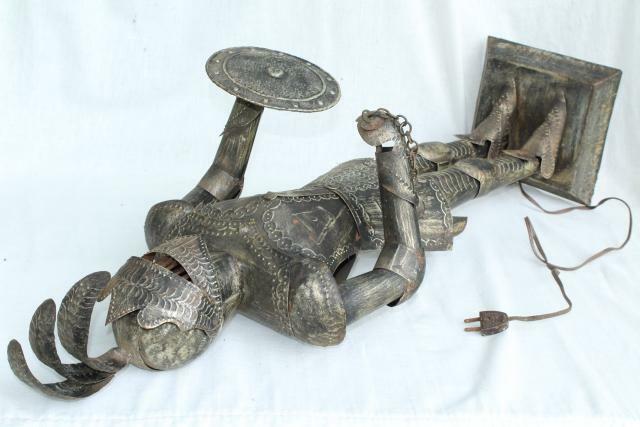 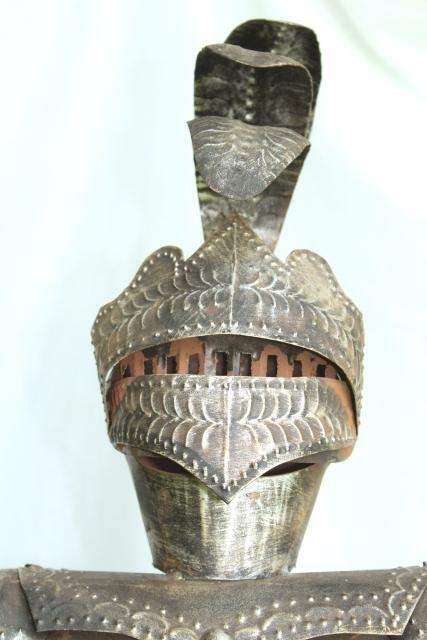 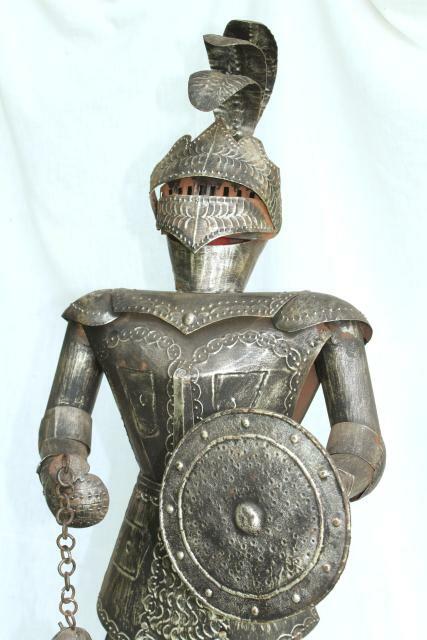 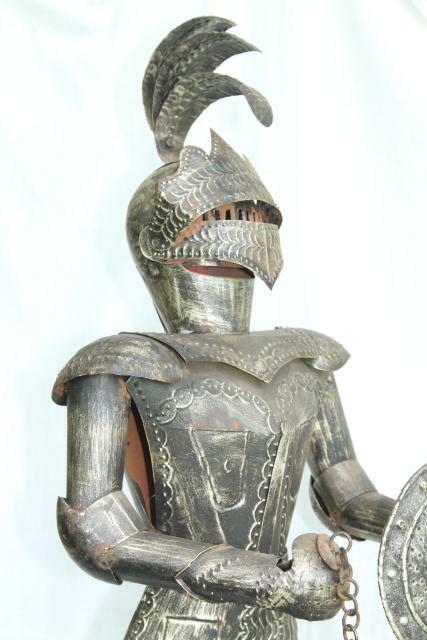 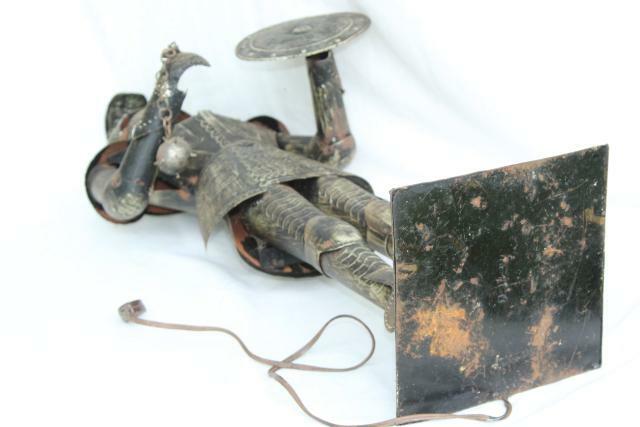 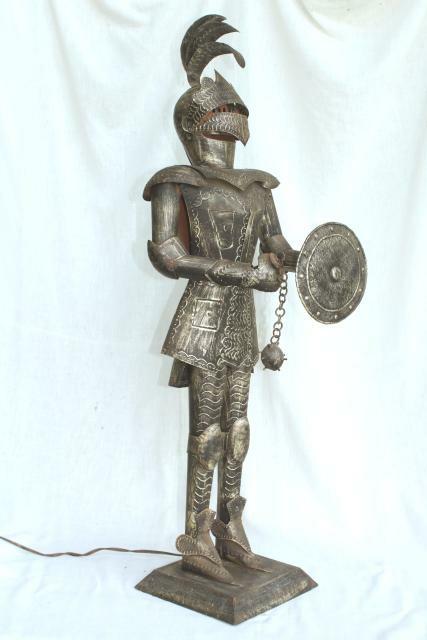 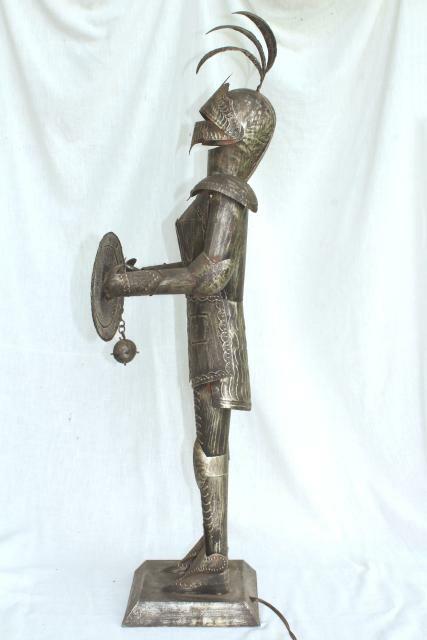 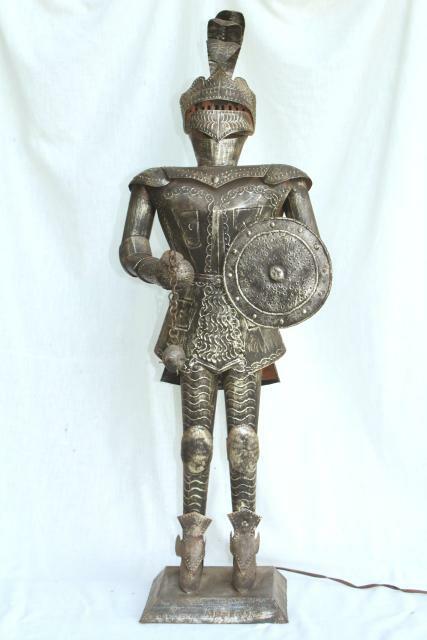 70s 80s vintage art metal 'knight light' made in Mexico, very cool! 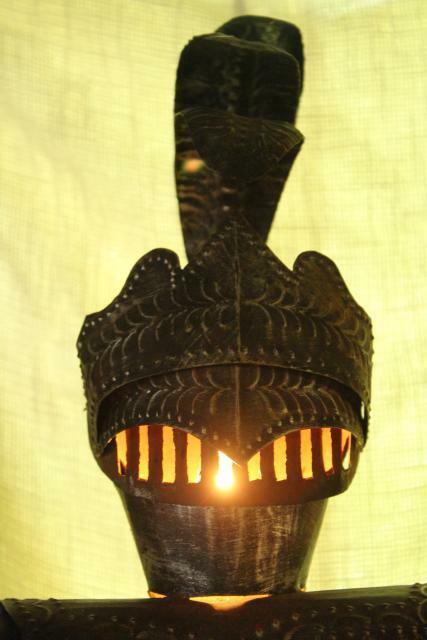 This measures about 36' tall and holds a single small bulb under the helmet visor, plugs into a standard wall socket with the cord. 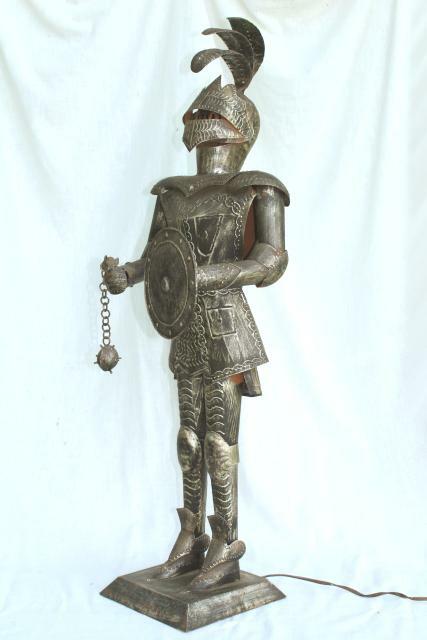 A great attention getter whether you favor the fairy tale ending or the castle dungeon horror look - everyone who sees this piece loves it.